I strongly think that turkey should be eaten throughout the year and not just around Thanksgiving. Luckily, my local grocery store has finally got on board with this idea and now sells turkey breast tenderloins throughout the year. The ingredients in the recipe could either lean toward fall or spring, depending on what you serve it with. I actually served it with a cranberry orzo (to be shared later) so it had much more of a fall feeling to it than I intended, but it was still delicious. 1. 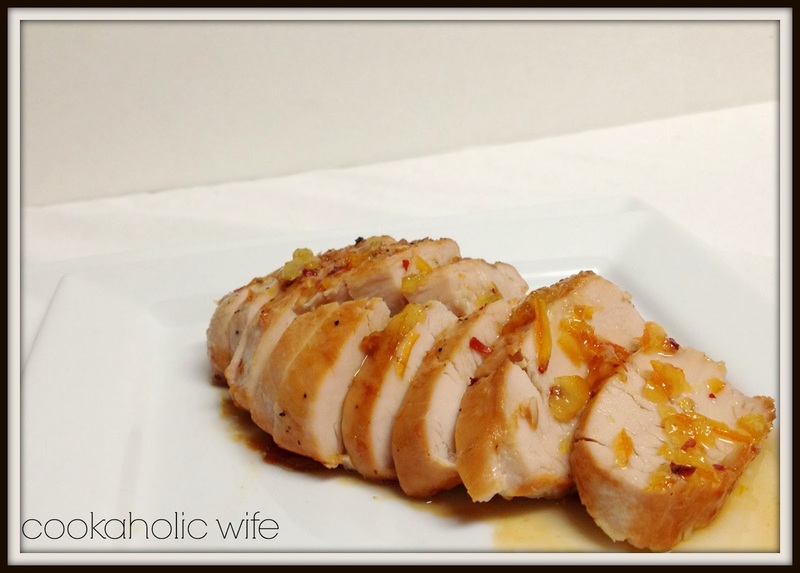 Combine orange marmalade, rice vinegar, soy sauce and crushed red pepper together in a bowl. Set aside. 3. Heat oil in a large oven-safe skillet over medium heat. Add the turkey tenderloin and brown for 1-2 minutes on each side. 4. Brush half of the mixture over the turkey and then place the skillet in the oven for 20-25 minutes or until a thermometer inserted into the thickest part reaches 165 degrees. 5. 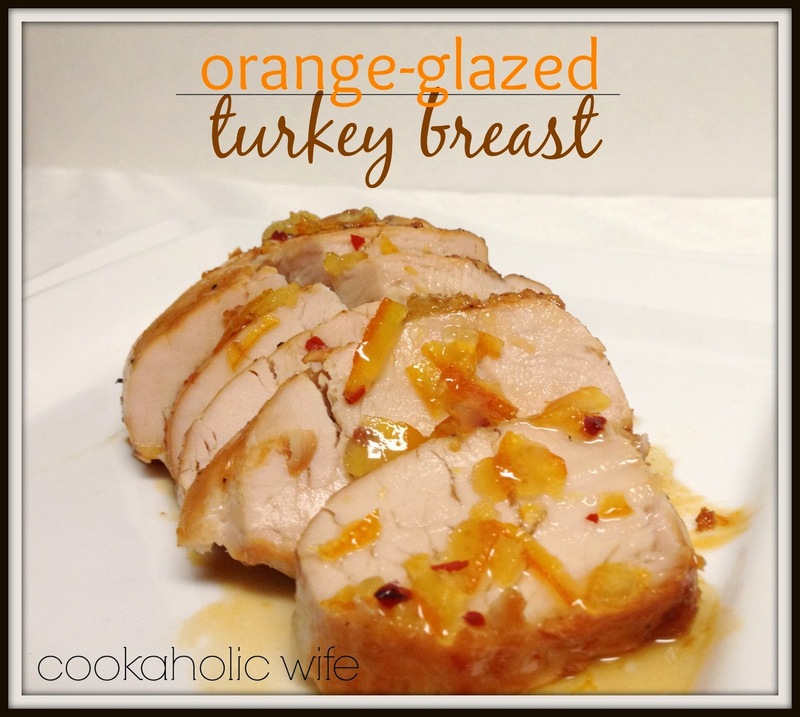 Slice turkey breast and serve with extra glaze mixture on top. As I said above, I served this with a cranberry orzo mixture which paired really nicely with this. Tom thought it was a little too sweet, but I could easily add more rice vinegar next time or even less orange marmalade to even it all out.